Graphic Made by Paige Lunde. Written and Media by Paige Lunde. 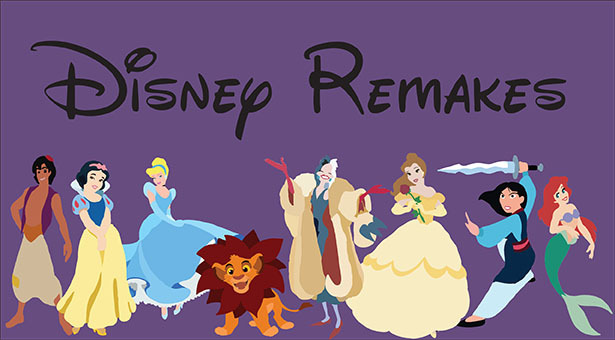 In case you didn’t already know, Disney is remaking all our favorite movies into live-action’s in the next few years. They have already remade Cinderella (2015), The Jungle Book (2016), Pete’s Dragon (2016), and even did a version of Sleeping Beauty told by Aurora about Maleficent (2014). Quite recently, Disney’s Beauty and the Beast (2017) was just remade. And they aren’t stopping there. Upcoming Disney movies that are getting their own live -action tale are Aladdin, Mulan, The Lion King, Dumbo, Christopher Robin, Oliver Twist, James and the Giant Peach, Cruella de Vil, Tinkerbell, Peter Pan, The Little Mermaid, The Sword in the Stone, Prince Charming, and Pinocchio. 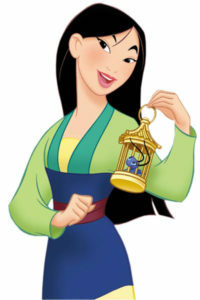 Mulan is set to some out in November of 2018. The director is supposed to be Niki Caro. The film is said to be an all-Chinese cast which is awesome because of the whole “white-washing” ordeal in Hollywood. It’ll be a nice change to actually have a cast that is exactly the way they are supposed to be. Writers of the screenplay are Rick Jaffa and Amanda Silver. The Lion King has no exact release date yet but the director is set to be Jon Favreau. Cast so far includes James Earl Jones as Mufasa and Donald Glover as Simba. Even though there is little to go on for this one, it’s still something to look forward to as it is a lot of everybody’s favorite. 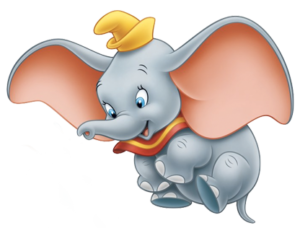 Dumbo also does not have an exact release date yet but the director is set to be Tim Burton so there’s no telling how dark and twisted this remake will be. So far, only two cast members have been recruited for this remake and they are Eva Green and Danny DeVito as Medici. Colin Farrell is rumored to have been casted as Holt but no word on that so far, it’s still early. Aladdin also, tragically, has no exact release date but it is set to be directed by Guy Ritchie. They are still, currently, in the process of casting but it’s been rumored that they want an all Middle-Eastern cast. We were going to get a Genie spin-off originally but the director decided against it and settled to just make a live-action Aladdin instead. Christopher Robin. Photo from Vignette. Christopher Robin from Winnie the Pooh is getting his own live-action movie yet the release date is still to be determined. Marc Forster is going to be the director. The story will be revolving around an adult Christopher Robin who has moved on from his little kid days and is now a businessman until Pooh comes to him for help one day. 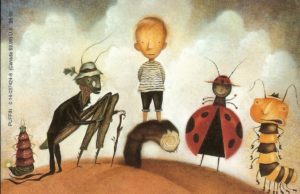 James and the Giant Peach. Photo from Tygertale. Mendes is said to be the top choice to direct but there are no new news about who is taking the helm on this one other than it is definitely still in the works. 101 Dalmatians’ own Cruella de Vil is getting her own live-action movie. The release date and director have yet to be set but rumor is that Emma Stone will be playing Cruella herself. There have been a few different writers so far and at the moment, they have someone working on a rewrite but the movie is in the process of being made around Stone’s schedule since she is becoming more and more popular and is very busy. Some more live-action remakes that are still in the very, very early process of getting started are Peter Pan, Tinkerbell (Reese Witherspoon is said to be playing her), Sword in the Stone, Pinocchio, The Little Mermaid and Prince Charming. All of these that are in the early stages still have yet to get a writer, a director, any sense of cast members, and a release date so we still have time to find some things out.